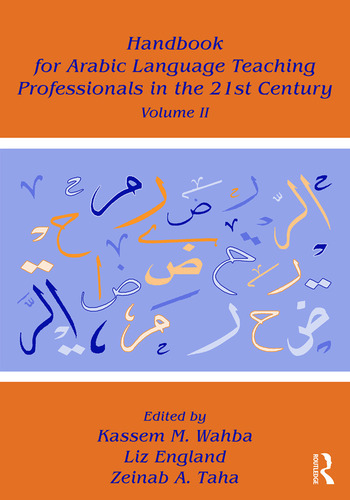 The field faces new challenges since the publication of Volume I, including increasing and diverse demands, motives and needs for learning Arabic across various contexts of use; a need for accountability and academic research given the growing recognition of the complexity and diverse contexts of teaching Arabic; and an increasing shortage of and need for quality of instruction. Volume II addresses these challenges. It is designed to generate a dialogue—continued from Volume I—among professionals in the field leading to improved practice, and to facilitate interactions, not only among individuals but also among educational institutions within a single country and across different countries. Kassem M. Wahba is Professor in the Department of Near Eastern Studies, Cornell University, USA. Liz England is Principal at Liz England and Associates, LLC, USA. Zeinab A. Taha is Associate Professor in the Department of Applied Linguistics, The American University in Cairo, Egypt.